Anyone who has ever studied world religions will likely have noticed a common element among many of them: the communal sharing of food and drink as a sacred act. The Christian communion ceremony uses ritual “bread” and wine to honor a sacred connection with the divine. The Jewish Shabbat celebrates the miracle of gifts (manna) from heaven in the form of challah bread, and wine is blessed in a special cup called the “Kiddush.” Hindus prepare special offerings of food, called “prasada,” that are then shared with the gods at rituals. Clearly, the spiritual power of offering and sharing nourishment, whether literally or symbolically, is universally recognized. And Wicca is no exception, with many practitioners participating in what is known as the Cakes and Ale ceremony. Although not practiced in every tradition, the Wiccan Cakes and Ale ceremony is an important component of ritual for many covens and solitaries alike. Food and drink are offered to the Goddess and God and shared among the practitioners as a way of celebrating community and giving thanks to the ultimate sustainers of life on Earth. Dating back to the origins of modern Witchcraft, Cakes and Ale is also sometimes known as Cakes and Wine, Bread and Wine, and even Bread and Water. As these various names suggest, the ritual involves food and drink, though the “cakes” are often cookies or other baked goods, and some traditions may even use fruits or vegetables instead. As for the beverage, it may be ale, beer, wine, juice, or water, depending on the preferences of the coven (or solitary practitioner). The emphasis is not so much on the specific ingredients as on the spiritual significance of the ritual. In fact, “cakes and ale” is actually an old English phrase meaning “the good things in life,” so theoretically any nourishing food and drink would fit this description, as long as care and intention are put into preparing it. Depending on the tradition, the Cakes and Ale ceremony may occur at the end of formal ritual, as a last activity before closing the circle, or closer to the beginning, just after invoking the God and Goddess. 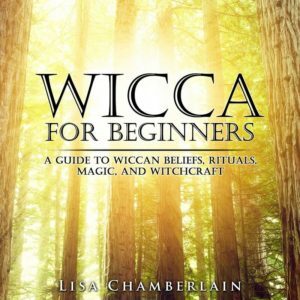 Wiccans who include it in the formal part of ritual view the ceremony as primarily a way of communing with the gods as they are welcomed into the circle, and as such may take a very focused and reverent approach to it. When performed at the end of the ritual, there may be a somewhat more relaxed or informal quality to the ceremony, as it marks a division between the ritualistic and social components of the gathering. Wiccans who prefer for Cakes and Ale to come at the end often remark that the consuming of a small bit of food helps ground and center them after the raising of magical energy during the formal ritual. In this case, the ceremony is both an offering of thanks to the gods and an “Earthing” opportunity for the participants. No matter when the Wiccan Cakes and Ale ceremony occurs, the food and drink will be prepared ahead of time and is placed either on the altar or elsewhere within the circle. Most practitioners keep a special plate for the cakes (or other food) which is not used for any other purpose. Traditionally, the altar chalice will hold the wine (or other beverage), though some use a separate, specially designated cup for this purpose. The food and drink are consecrated before being offered to the Goddess and God and shared with the participants. 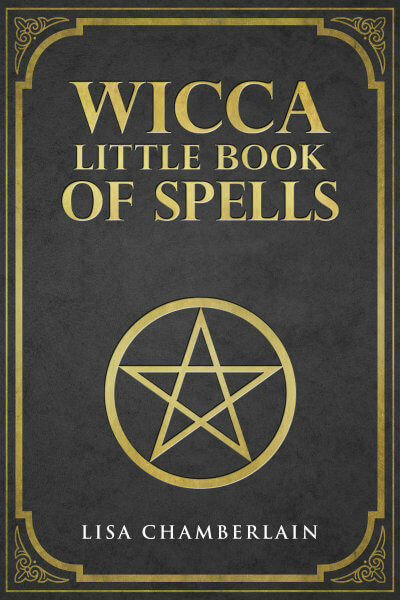 The specific proceedings for this consecration and sharing process vary depending on tradition, and on whether the ritual is performed by a coven or a solitary practitioner. It should be noted that while the Cakes and Ale ceremony is an important part of Wiccan Sabbats and Esbats, especially in covens and other more informal groups, it’s okay if you don’t actually want to partake in the food and/or drink itself. As long as you’re respectful of the proceedings, it’s fine to “pass” when the plate and cup come your way. The point, after all, is to share in a feeling of gratitude and communion with the God and Goddess and your fellow Wiccans—even if you’re celebrating on your own!